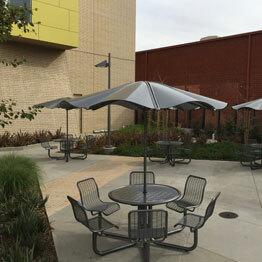 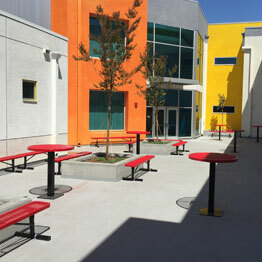 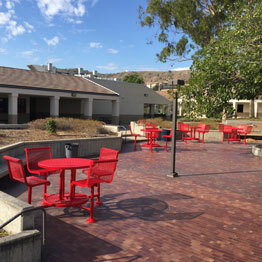 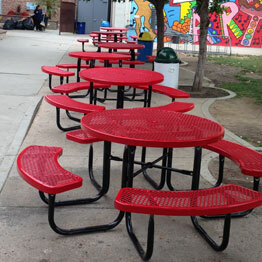 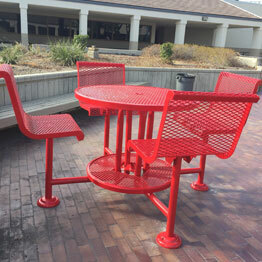 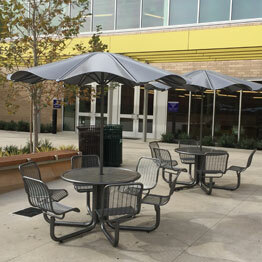 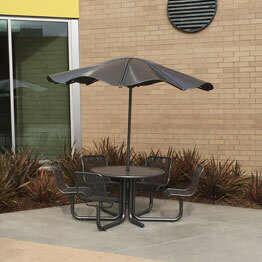 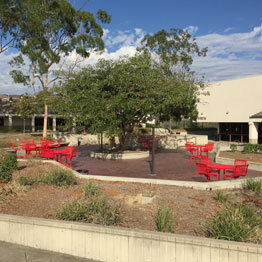 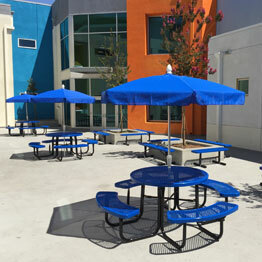 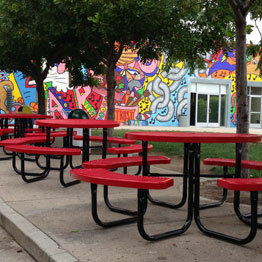 Products – Ultra Play Cafe Height outdoor tables, attached to brick surface. 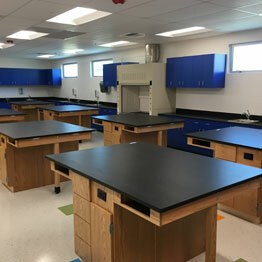 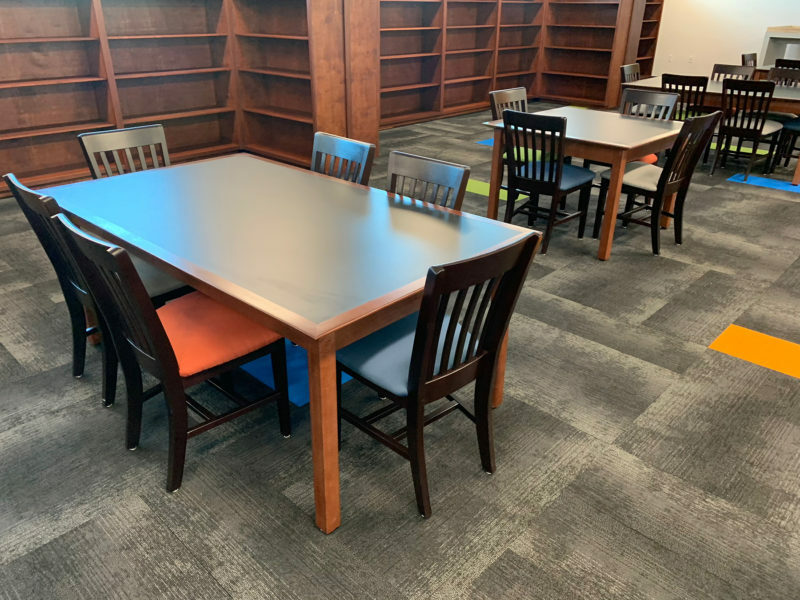 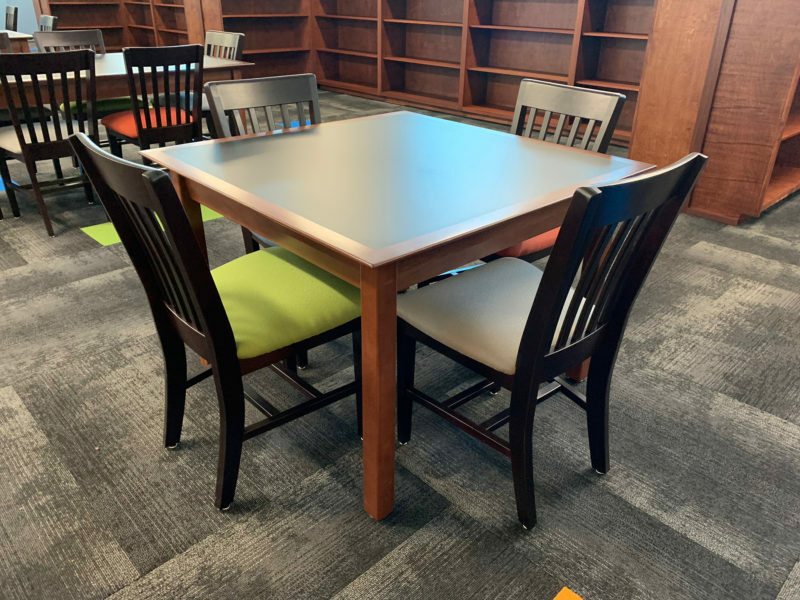 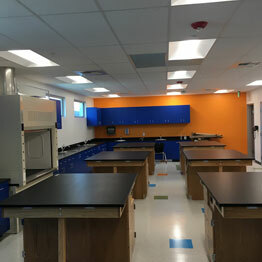 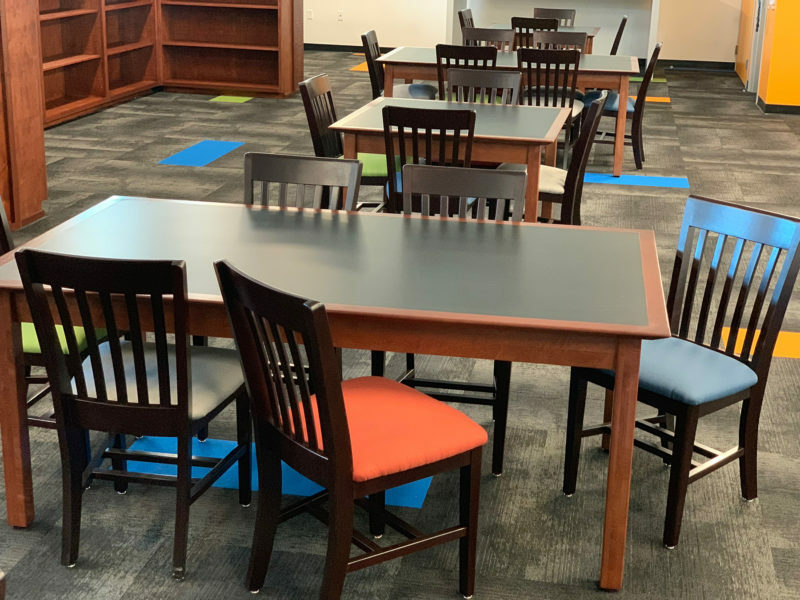 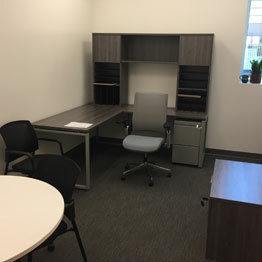 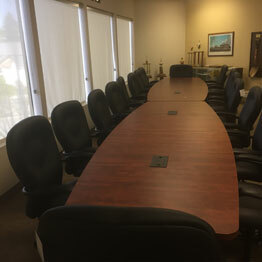 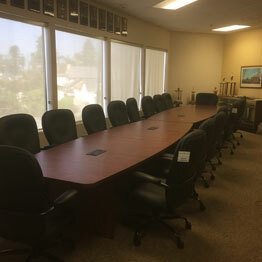 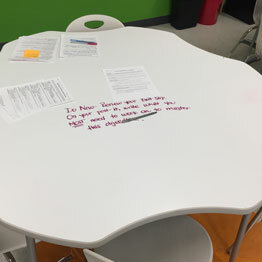 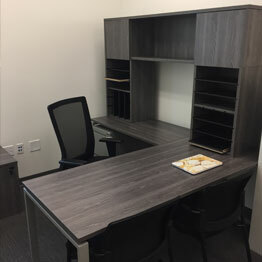 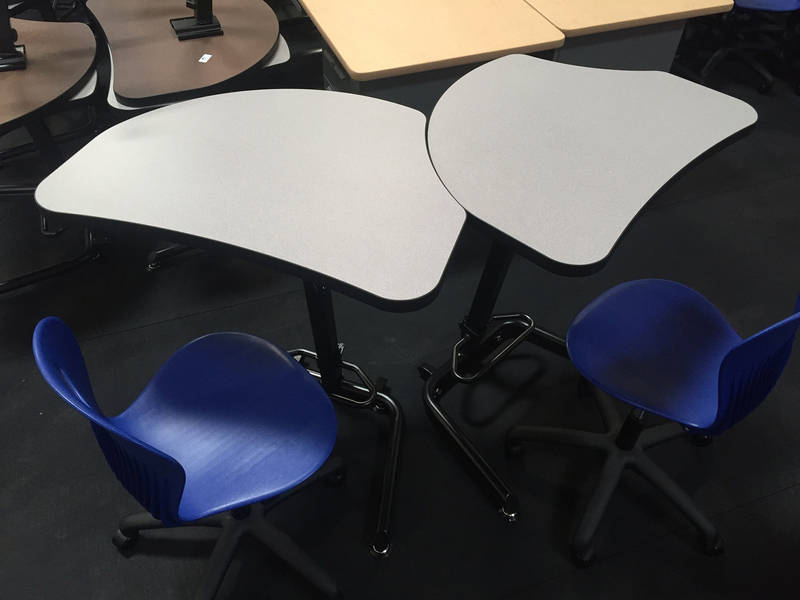 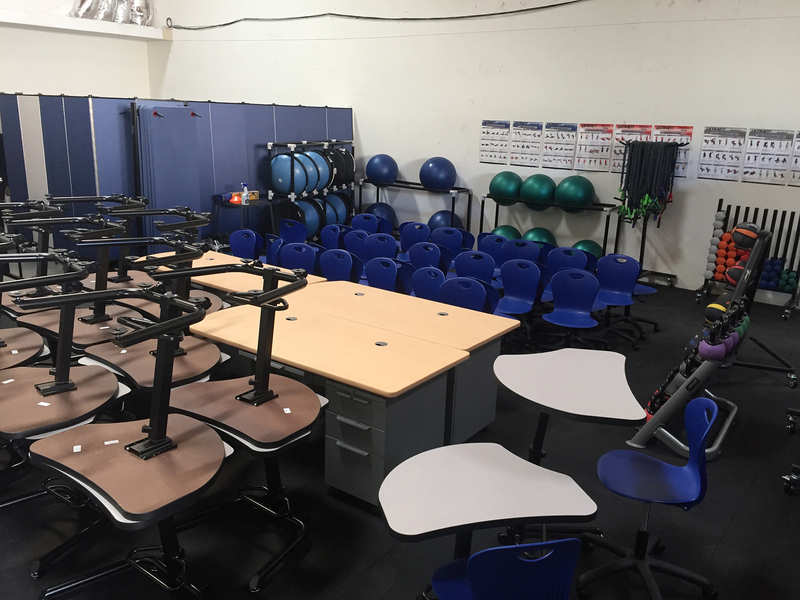 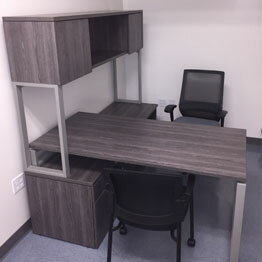 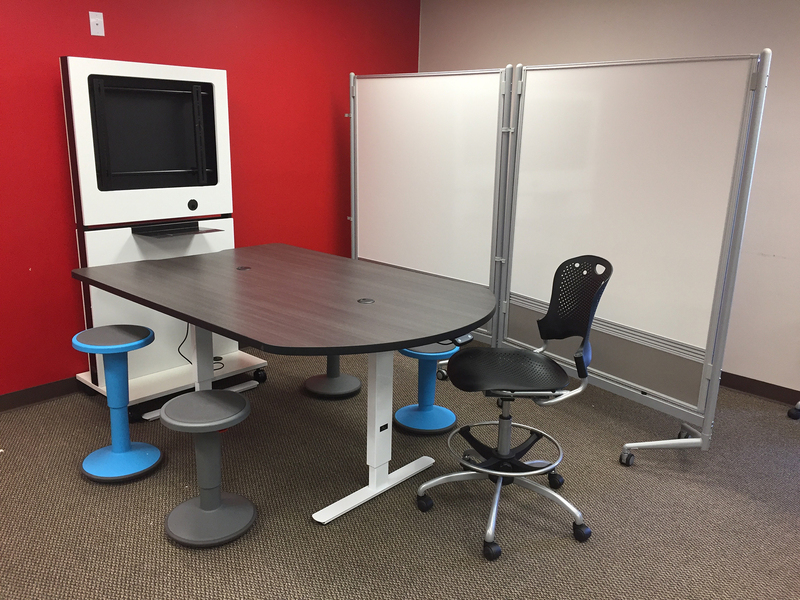 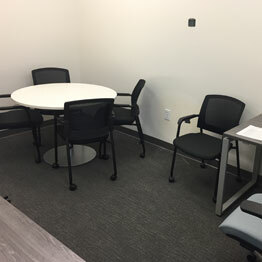 Products – Custom bar height tables, KI cafe height tables, Virco bar height chairs and activity tables with marker-board tops. 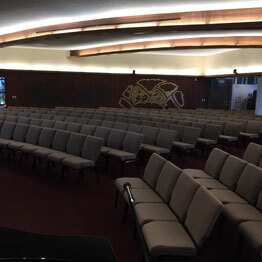 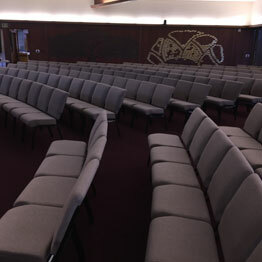 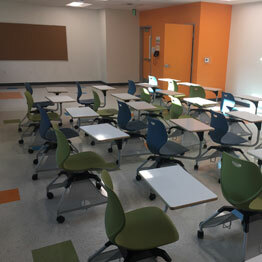 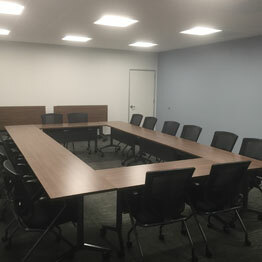 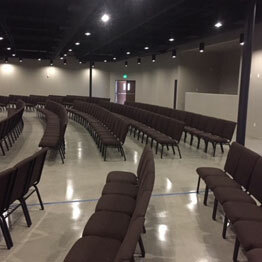 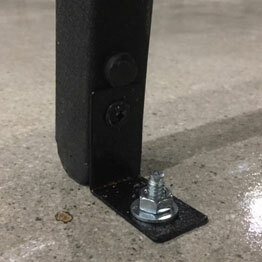 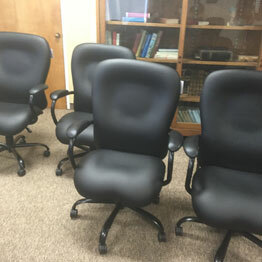 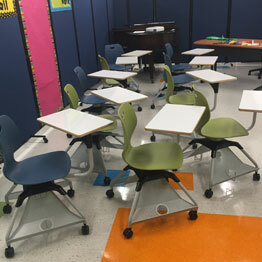 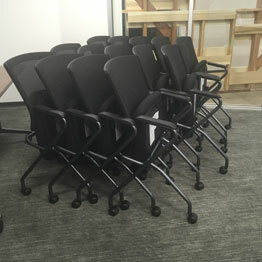 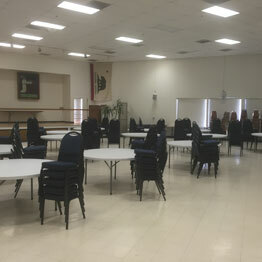 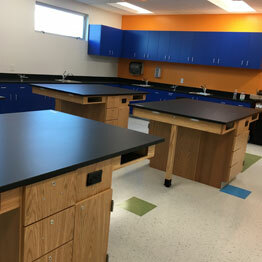 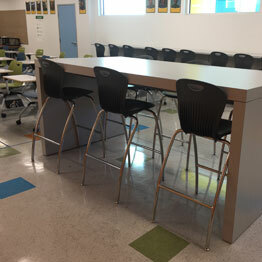 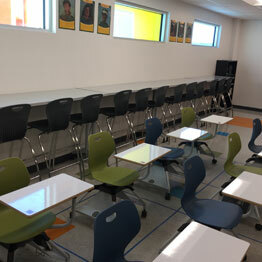 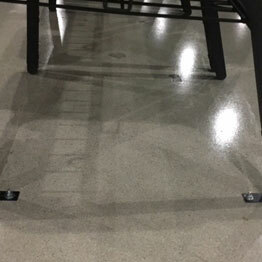 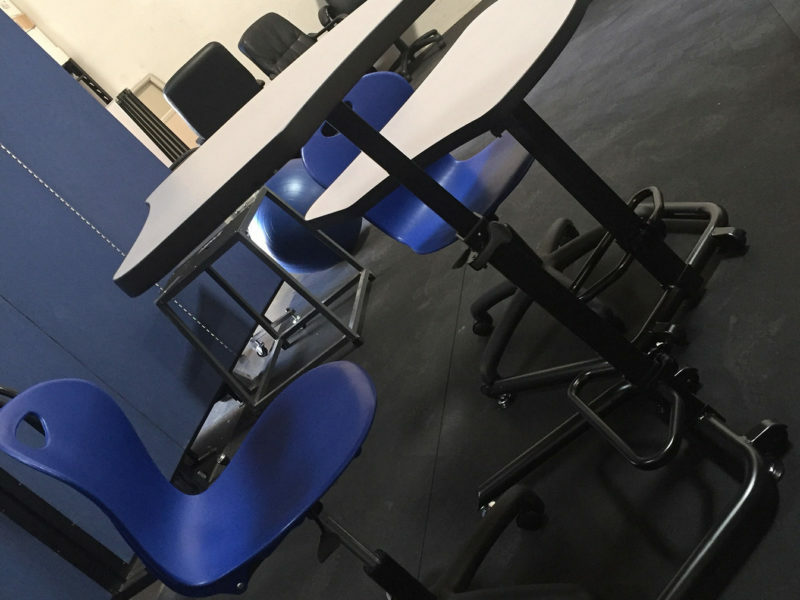 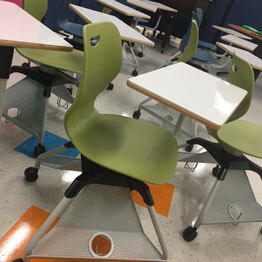 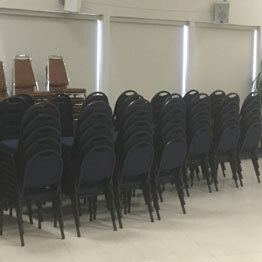 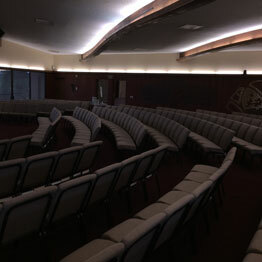 Products – EC21” Church Chairs, installed and attached to the concrete floor.